This is quite a funny and potentially useful book which covers all kinds of nasty situations you might find yourself in, some scarier than others, eg being attacked by a bear or dealing with insurance companies. Some of it is written very much for an American audience, so I’d question much of that content’s use for anyone who isn’t US-based. 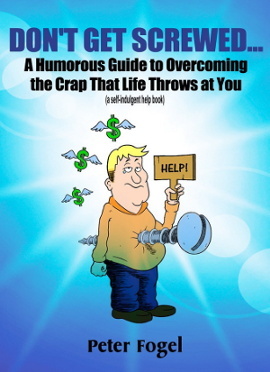 Even so, I found some of it quite amusing – as it should be, given that the author has been a humorist, comedy writer and speaker for over 25 years. Despite the length (almost 350 pages), I found it was a fairly quick read. But it’s fair to say there’s a lot in it! I got this book on a free promo and expected it would be a cheap purchase because it’s just a fun book really. However, I was surprised to find that it’s £4.27 or $6.99, which I thought was a little bit expensive for such a book. On second thoughts, there’s a lot there for only four quid. It’s also available free via Kindle Unlimited (KU), so if you’re signed up to Amazon’s KU deal, then why not grab it for an amusing and interesting read? Here are the links just in case you do want to buy it.